For the second time in two years, Brazil is struggling to control a record outbreak of yellow fever. With hundreds of suspected cases — including one exported to the Netherlands — the government recently announced its ambitious plan to end the spread by vaccinating more than 38 million people in the most affected states. And it is not alone. Across the Atlantic, Nigeria is also mounting its largest-ever yellow fever vaccination campaign in the face of its own epidemic, which began in September 2017. Urban yellow fever used to be a global scourge, killing thousands of people and prompting efforts to create an international surveillance system for infectious diseases in the 19th century. Since the 1950s, outbreaks have been mainly isolated to parts of Africa and South America where the disease is endemic. But incidence rates have spiked over the past few decades, and these new epidemics are a powerful reminder that when urban infectious diseases spread, they spread lightning fast. To prevent these outbreaks, governments usually employ one (or more) of three strategies. The first strategy is vaccination, a safe way to offer life-long immunity and stop the spread of disease from person to person, all for about US$1 per dose. A second strategy is vector control, which aims to decrease transmission by reducing populations of disease-carrying mosquitos. A third strategy involves controlling the movement of potentially infected individuals by requiring an international certificate of vaccination for travelers to and from endemic areas. While these strategies have proven effective in the short term — both at local and global levels — none of them offer a panacea for emerging infectious diseases. First, vaccinations, like the mass campaigns under development in Brazil and Nigeria, seem like the smart choice and have proven to be highly effective. The problem is, it’s difficult to maintain funding and political will for such campaigns even during massive epidemics — let alone in smaller, less-visible ones. 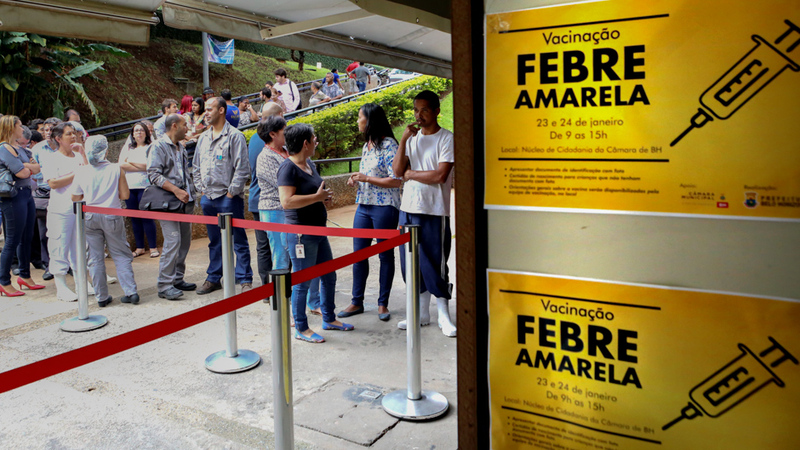 Brazil already promised to vaccinate its population during the 2017 yellow fever outbreak, but did not follow through with those plans due to funding concerns. There are also issues regarding vaccine supply (vaccinating an entire country would require a huge amount of medicine/equipment) and consent (many people are reluctant to be vaccinated, despite the risks of contracting a disease). Second, mosquito control has proven to be a tricky task. The urban dwelling mosquito known to carry yellow fever — Aedes aegypti — also transmits other diseases including dengue fever, Zika and Chikungunya. During the mid-20th century, A. aegypti was almost eliminated from South America through a long-term, continent-wide campaign — a government-led effort which has been described as “paramilitary” in nature. These programmes were expensive, though, and were suspended in the absence of ongoing disease. And because there was no bottom-up community involvement, the mosquito promptly staged a comeback, reoccupying the entirety of its former range. Third, controlling the movement of humanity is a more complicated task than ever before. As increasingly mobile populations travel farther and more frequently, and as diseases spread more quickly among locals and tourists alike, border vaccination checks become less effective. The yellow fever outbreak in Angola from 2015 to 2017 spread to neighboring Democratic Republic of the Congo, but also to China and Kenya by air, and the current epidemic in Brazil has already seen one case exported to the Netherlands. So, with the challenges inherent in each of the major prevention strategies, how do we move forward with realistic solutions to these complex global health problems? We need to rethink the way we design, build, and manage our cities to account for the infectious disease risks that arise from urban expansion, growing poverty, and accelerating global flows of people, pathogens, and products. The science of infectious disease eradication needs to be strengthened to inform steady gains in disease control. Included in this would be the implementation of long-term, sustainable eradication programmes, rather than short-term outbreak response programmes. For example, South America’s successful eradication of the A. aegypti mosquito eventually led to reduced funding, a cessation of the programme, and a rebound of the mosquito population. A more sustainable approach would combine top-down and bottom-up activities, to reduce the chances of an outbreak in the first place. More broadly, we need to rethink the way we design, build, and manage our cities to account for the infectious disease risks that arise from urban expansion, growing poverty, and accelerating global flows of people, pathogens, and products. Infectious disease control should be viewed as a global public good (i.e., where no one nation has the capacity or incentive to control risks, but where action by any one nation benefits all) and dealt with accordingly. The global End Yellow Fever Epidemics (EYE) programme, initiated in 2017, is a welcome development along these lines; multi-sector, broad in reach, and with significant high-level political support. In today’s globalised and interconnected world marked by unprecedented urbanisation and mass travel, pathogens are not limited by borders. The message of International Health Regulations needs to be renewed and effectively reinforced, building on the protections offered by the carte jaune (International Certificate of Vaccination) to both travelers and host countries. If we keep treating each infectious disease outbreak as something to just throw vaccines at until they go away, we are doomed to fail. We should harness the motivation and political will spurred by these outbreaks to institute long-term, sustainable, and holistic approaches to disease prevention. Prof. Pascale Allotey is the Director of the United Nations University International Institute for Global Health (UNU-IIGH). She has two decades of experience as a global health researcher, working across four continents to promote health and well-being. Her research has focused on health equity, health and human rights, gender and social determinants of health, forced migration and marginalisation, sexual and reproductive health, infectious diseases, and non-communicable diseases.